With the freshness and bright promise of spring lurking (possibly hiding) around the corner, though, I am MASSIVELY feeling the Radiant Orchid. 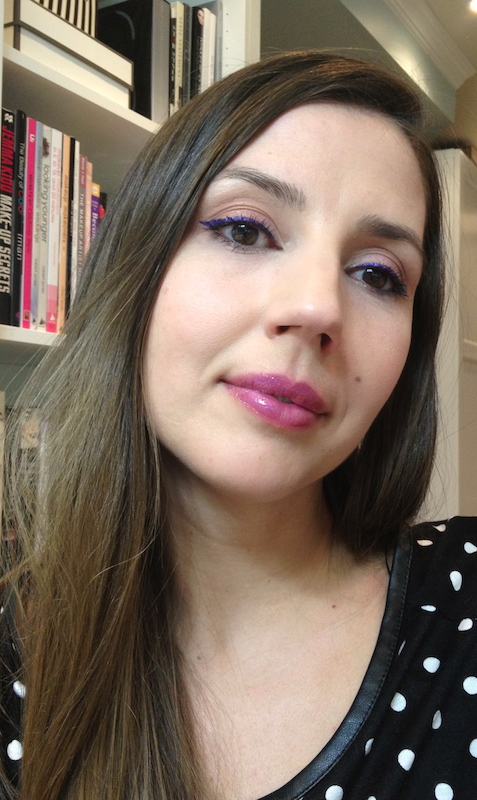 I love pink, and I adore purple, so this not-quite-pastel lovechild of the two is right up my alley, trend or no. 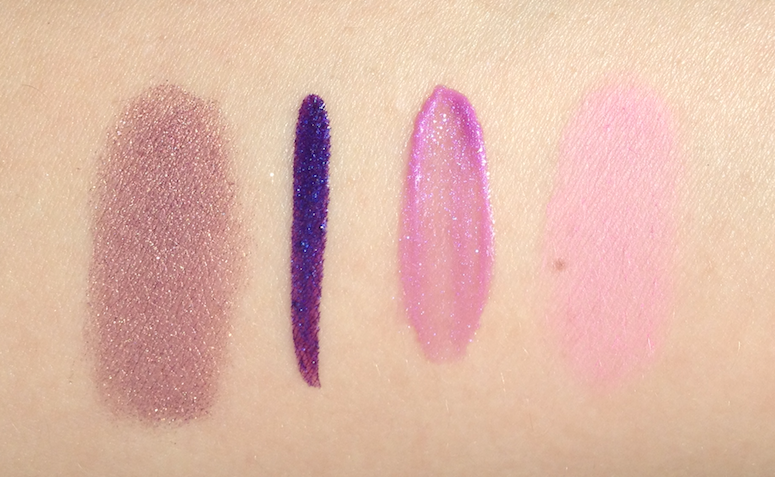 From Lancôme, we have the Artliner 24H in Amethyst, the Elizabeth Arden Beautiful Color Eyeshadow in Golden Orchid, the YSL Vernis à Lèvres Rebel Nudes in #108 Violine Out of Control, and the Tarte Amazonian Clay Blush in Fantastic (limited edition from a past holiday set). This was my first time trying out an Elizabeth Arden eyeshadow, though I've been lemming them for a while now. From what I recall from my obsessive swatching, they seem to vary a bit - some are dense, creamy and more opaque, some are softer in texture and payoff. 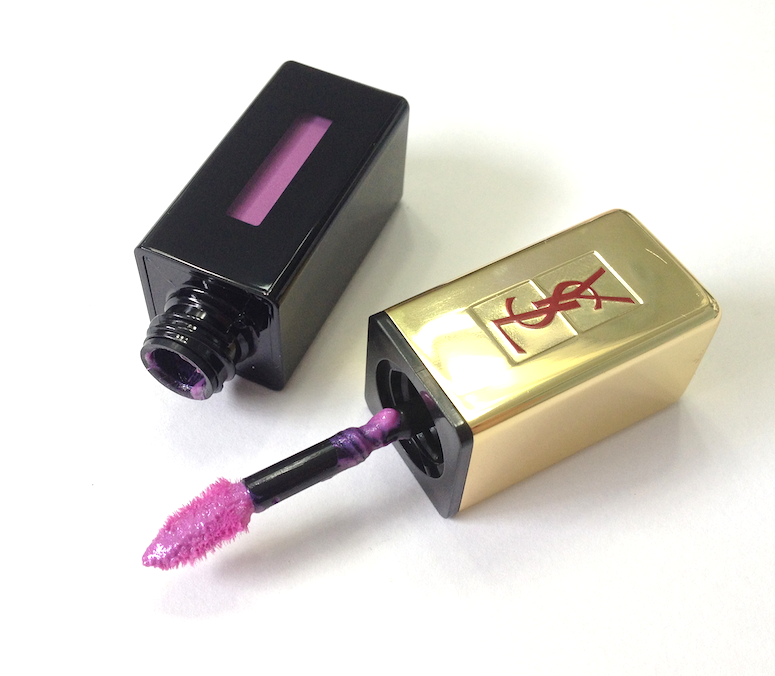 Golden Orchid is one of the latter, and works very nicely as a wash over the eye. The shade itself is a warmer, more neutral play on the Orchid theme. It's not a faithful interpretation, but probably a more wearable one for a lot of people. 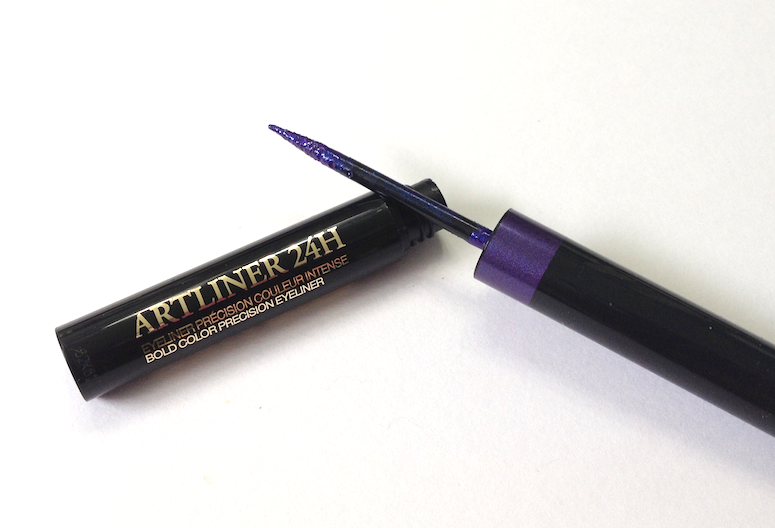 This was also my first experience with the Artliner, and I loved both the formula and the application. This has the same kind of applicator as the Stila and Make Up For Ever waterproof liquid liners, and the same kind of shellac-like finish. Intensely liquid, setting to a vinyl shine and holding on for dear life in the face of oil, sweat and tears (and most makeup removers). It did crackle a bit in the folds of my eyelid after several hours, but that's the norm for me when it comes to this kind of formula. Application was super smooth and easy to control, with really great pigmentation on one pass. The colour is a blue-toned, almost eggplant purple, with a bit of shimmer. It's lovely with brown eyes, and should be stunning with green eyes. 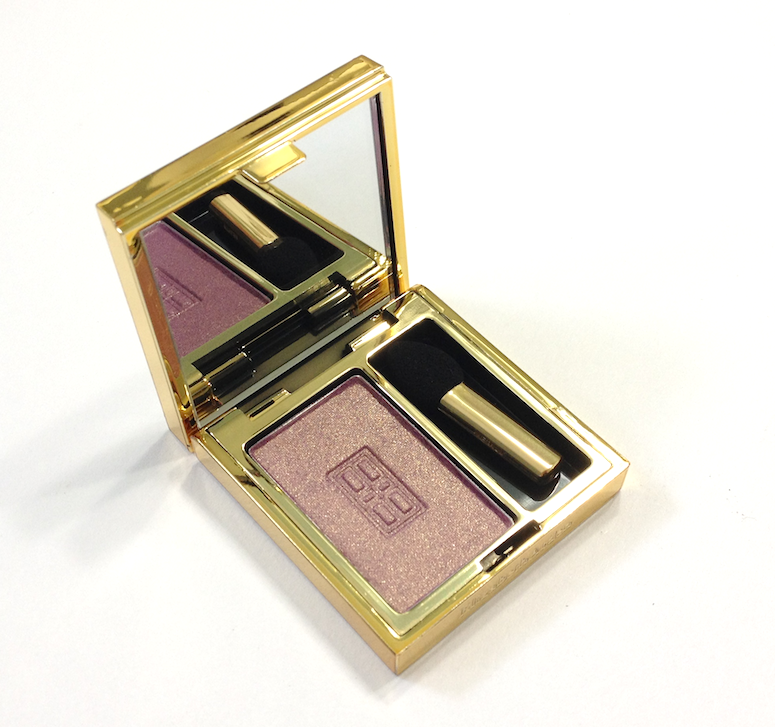 Probably the truest interpretation of Radiant Orchid, this is a lilac tone with subtle shimmer. I don't think this pulls the yellow in my teeth nearly as much as others in this colour family do, but it's not brightening either. If you have concerns, layering it over a trusted lipstick might also be a (subtle) option for getting a bit of that orchid tone. 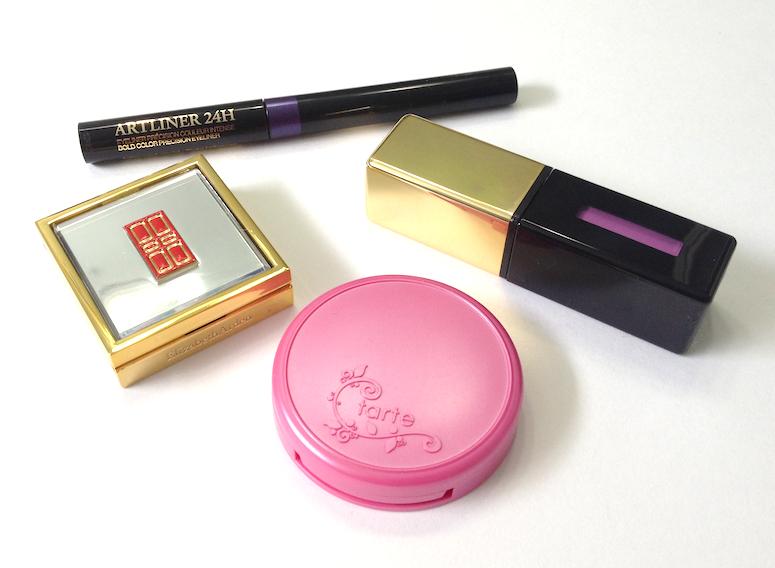 The mini Tarte blush was one I pulled out on a whim. I wanted a fairly cool, bright pink to keep in tune with the rest of the face, but one that would be a supporting player. 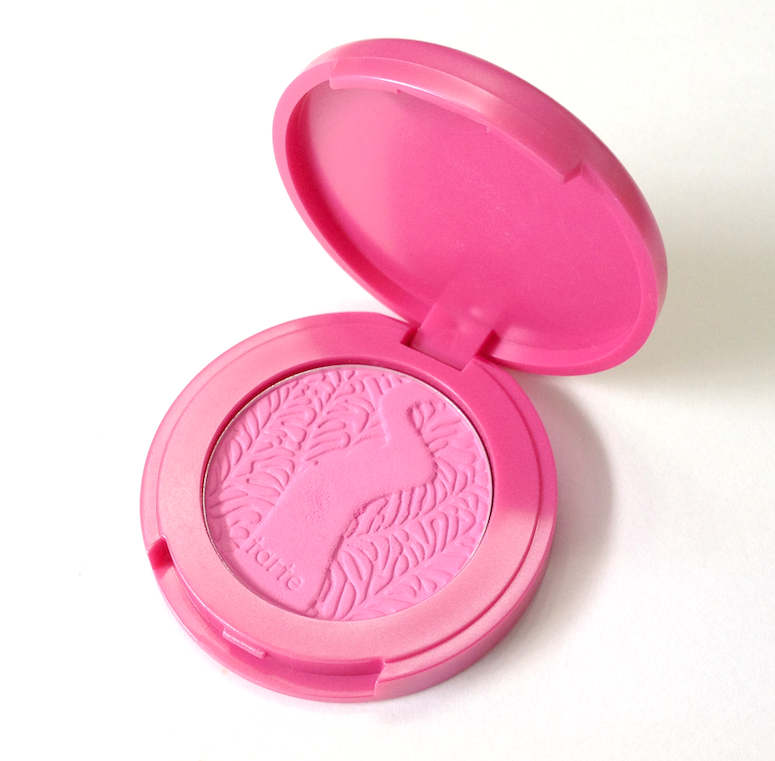 As with all the other Amazonian Clay blushes, it's ultra-smooth, long-lasting and pigmented, so I used a light hand to add just the faintest hint of colour. I used Golden Orchid all over my lid, with some added definition in the crease and lightly in the lower lash line with some brown and taupe shades from the Too Faced Chocolate Bar palette. Then I did a simple wing with the Artliner, keeping the flick fairly straight. (Eyebrows au naturel, because I'm lazy.) I used the new Benefit BB Cream as my foundation and concealer (no powder), and a veeeeeery light dab of the Tarte blush. The finishing touch was a single coat of the Violine Out of Control. All in all, I'm pretty pleased with how this turned out. I generally love purple tones, and the various incarnations of Radiant Orchid seem to work nicely for me. Are you guys feeling the Pantone colour this year, or is it a miss for you? I am ALL ABOUT the color. But perhaps that's pretty obvious! You look absolutely beautiful Maggie - and happy belated birthday! I'll be turning 32 this year and I'm loving every minute of my 30s :) Out of all the products you discussed in this post, I think my favourite is the eyeliner by Lancome. Just look at that pigmentation! Wow. Thank you - for both! I'm a little less thrilled by the 36, even though I've enjoyed most of my thirties until now. Maybe it's the realization that I'm that much closer to 40? It's my first Artliner, and I gotta say, I'm impressed enough to pick up another one or two, even though I have a quadrillion of these sort of liners from MUFE and Stila. This colour works great on you Maggie! I was totally going to pick up Violine Out of Control, but ended up going cheapy cheap and bought the L'Oreal "version" (it doesn't have the cool blue flash to it, but it's very similar in tone otherwise). Also a huge fan of the liner flick, that's essentially my every day look and having it in a colour is a great twist - I really want to try one of these Lancome Art Liners, I think perhaps the cobalt shade - though this one is seriously catching my eye! 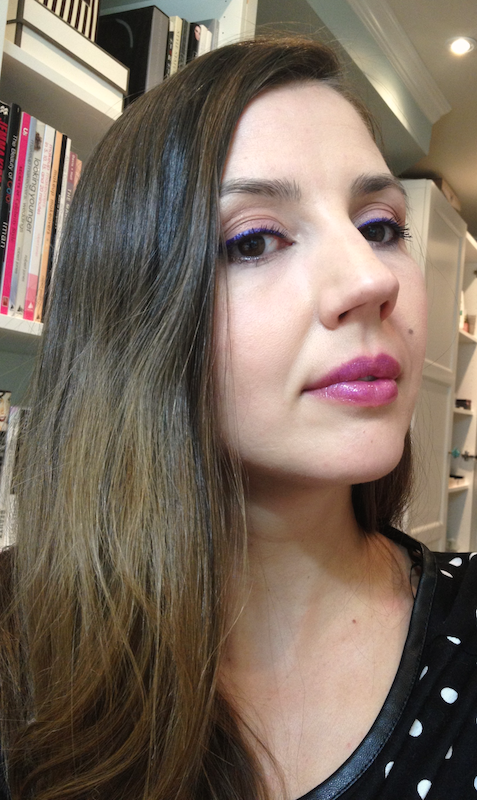 Anyway, Radiant Orchid is TOTALLY working for me too, I'm all over it. And happy belated birthday, I hope you really had a great day and felt beautiful in your look (as you did look wonderful! ).